A departure from a static, non-interactive exhibition, designer Yasmeen Sabri wanted to create a pretenseless installation that challenges the ‘look, but don’t touch’ axiom often set in galleries, museums and large-scale design exhibitions. Swings – a playful element commonly found in parks and public spaces in countries all around the world – represent a sense of childlike whimsy, liveliness and interactivity. 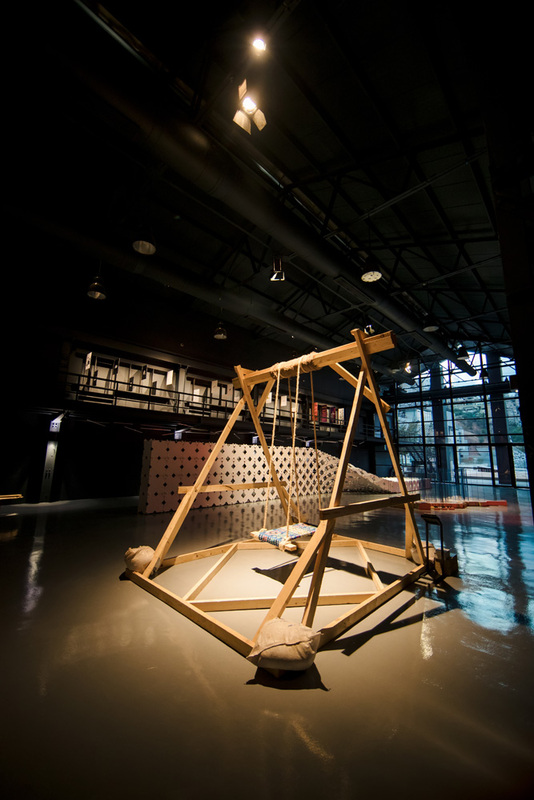 Yasmeen’s installation ‘The Network of Swings’ invites users to play without boundaries, and initiates a conversation about two aspects that impact life in Jordan: lack of accessible public spaces for play and lack of entertainment. 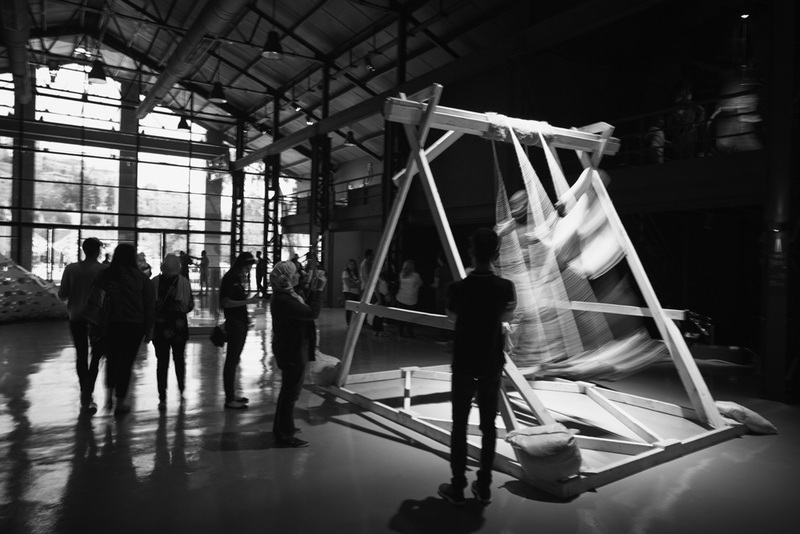 To generate a sense of connectivity that aligns with the boundary breaking that Yasmeen seeks to instill with her work, she also built swings in Jabal Natheef and Za’atari camp. Using Instagram as a communication platform, Yasmeen hopes the installation becomes even more accessible and user-friendly, allowing for connectivity, interaction and for anyone who follows the account to interact and comment on the experiences shared by the people who ride on the swing in all three locations. Furthermore, the piece comes with a do-it-yourself manual that provides instructions for people to build their own swing and join the network of swings.